 A reliable source for Assembly Machinery information and a resource for accessing leading Assembly Machinery and suppliers. Assembly machinery, also known as automation equipment, is any equipment that assists and partially or fully automates a manufacturing process. Automation equipment may be partially human operated, automated with human supervision, or fully automated past programming and maintenance. Assembly equipment is essential to the functioning of a wide variety of broad industry applications, such as products assembling and finishing. It is also essential to a wide range of more specific manufacturing and assembly processes like custom coating, cutting, grinding, forming, marking, molding, packing, riveting, smoothing, turning, and welding. We find automation equipment working independently or integrated into systems, both where they replace human contact that could lead to product contamination or harm, and where they help create and assemble parts and products. 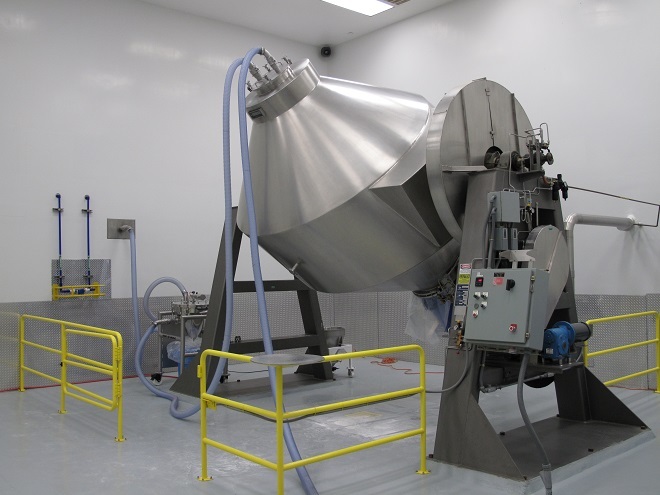 Examples of systems in the former category include those that take place in food and beverage processing plants, medical device assembly applications, and medical research facilities. Examples of systems in the latter category include those that take place in factories and manufacturing plants. Automation Equipment Manufacturers Assembly machinery, also known as automation equipment, is any equipment that assists and partially or fully automates a manufacturing process. Automation equipment may be partially human operated, automated with human supervision, or fully automated past programming and maintenance. No matter the complexity, the challenge, or the workspace, Eckhart is your one-stop solution for the programming, engineering, and support of automation equipment. 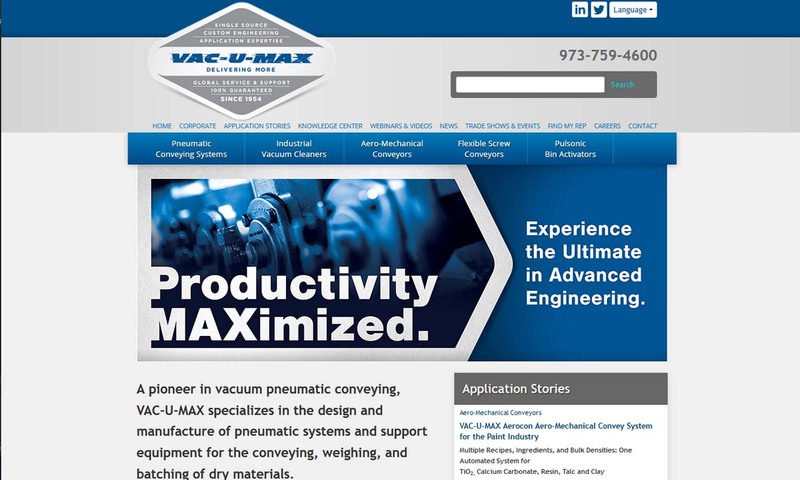 Vac-U-Max is a premier manufacturer of material handling products with experience dating back to 1954. Vac-U-Max carries belt conveyors, gravity conveyors, roller conveyors and vertical conveyors. 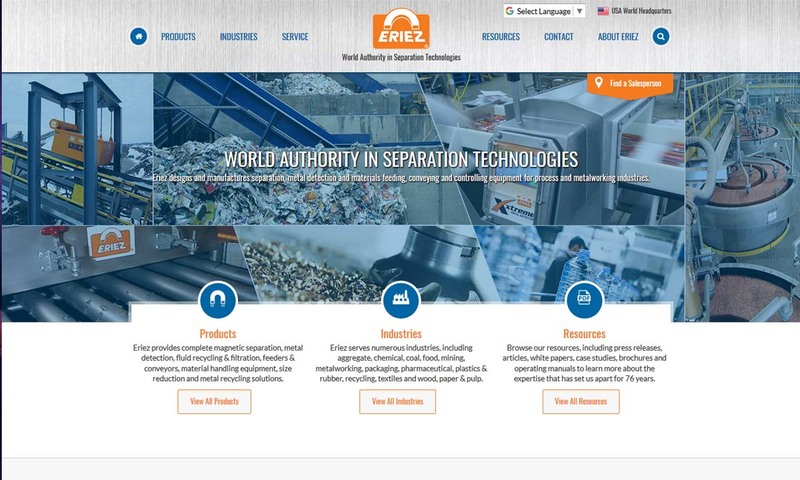 ERIEZ is a global manufacturer of an entire range of high-quality automation equipment, including vibratory feeders, conveyors, vibrating screens and many other products. 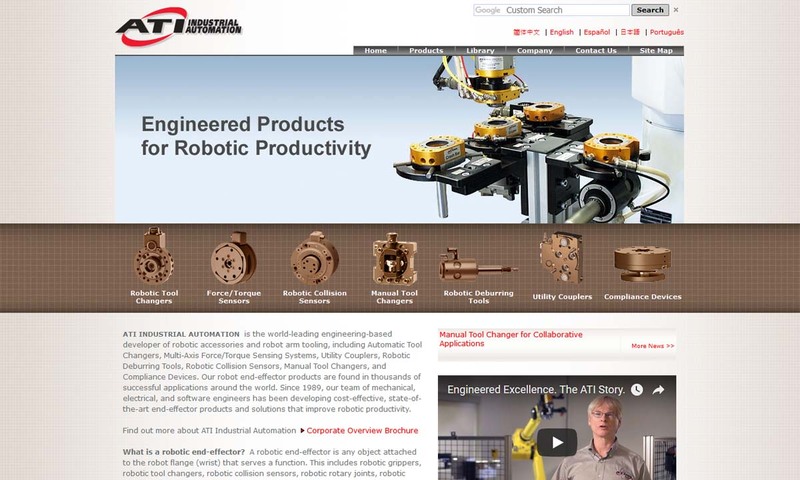 ATI is a recognized leader in Automated Assembly Products and Services. To stay competitive, take advantage of our products such as Auto-fed Part Placers, Pick & Place Mechanisms, Placer/Presses, and Feed Systems. 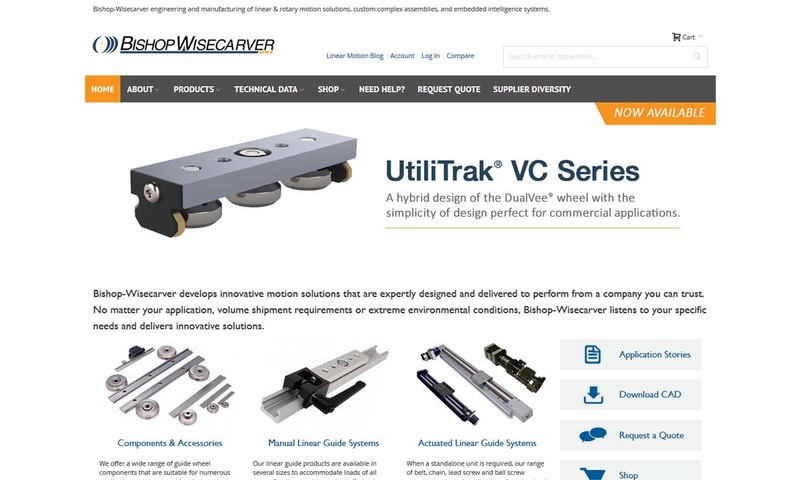 At Bishop-Wisecarver, we have a broad range of automation equipment to choose from, and we are willing to help you find the perfect solution for your application. Another pre-Ford automation system was the automated bottle blowing machine. Manufacturers first began using this in 1905. Previous to implementing it, six workers could manufacture about 2,880 bottles every twelve hours. After implementing it, four workers could manufacturer about 17,280 bottles in twenty-four hours. This revolutionized the bottling industry and made bottled products much more affordable. Despite Olds’ earlier patent and the success of automated bottle blowers, because he made such an impact, we consider Henry Ford to be the father of the assembly line, from which is descended automation equipment. In 1908, Henry Ford, in an effort to increase productivity on the assembly floor of his new car company, created the assembly line. He first implemented his assembly line in 1913. He used a conveyor rail to shuttle car parts to his workers, rather than have them move them around themselves as they did before. Not only did this make things faster, it also made the work less physically taxing. Though workers still used their hands at first, the idea was the same: stand in one place, performing one task over and over again, rather than assembling an entire product yourself. The assembly line revolutionized manufacturing processes because reduced production times from hours to minutes. 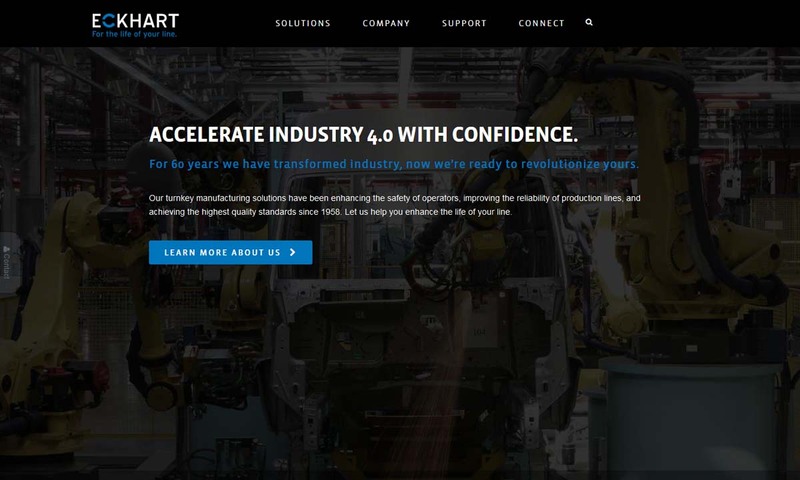 After seeing its success, manufacturers from industries other than automotive manufacturing quickly jumped on board and applied similar solutions to their own applications. For example, in 1919, engineers designed the first automated equipment for the paper industry. This equipment, a sectional electric drive control, allowed paper manufacturers to create high quality paper products for newspapers on a much larger scale. In 1930, Japanese engineers set the stage for synchronized automation when they developed reliable electric timers that featured protective relays and micro-switches. These made it possible for machines to talk to one another with humans. As Japan transitioned after World War II, its engineers innovated once again. Under a decade after the war ended, Japan was leading the world in automation, especially automated car assembly. In the 1969, while a graduate student at Stanford, an American engineer named Victor Scheinman invented the Stanford Arm, which was a robotic arm with six axes capable of performing multiple functions. Robotic arms like his became very important after this, allowing for controlled movements such as turning, lifting, lowering, and clamping. In fact, his robotic arm kicked off an entire industry devoted to manufacturing automated industrial robots. The next step towards full industrial automation took place in the 1980s, when engineers began using computer technology in manufacturing systems. Specifically, they integrated Computer Numerical Control (CNC) and Computer Integrated Manufacturing (CIM) into their production processes. This change allowed for more precision and higher volume product productions. Over the years, engineers developed other computer control systems and computer design systems, such as computer aided design (CAD) and computer aided manufacturing (CAM). Today, computer control systems continue to be an important component of all custom automation systems. By the turn of the 21st century, automated equipment was a staple of manufacturing. Even so, it continued to advance. For example, within the last ten years, engineers have developed 3D printing, also known as additive manufacturing, which allows manufacturers to print 3D products from blueprints designed on the computer. Since the fully human assembly line has given way to automated machinery, the efficiency and capabilities of machining have increased again by leaps and bounds. Automation equipment does have some limitations and disadvantages, such as high initial costs and their lack of human-level language comprehension and pattern recognition. However, as technology advances, we can expect automation capabilities to advance along with it. Assembly machines are valued for their ability to consistently produce high quality results that reduce both material and labor costs; once programmed, they can carry out repetitive tasks accurately at fast speeds. Assembly machinery is usually an element of a larger production system, most often a conveyor belt assembly line. As a part of such a system, individual assembly machines each perform one construction action as the product moves down the line. Examples of other types of automation equipment used in industrial processes include axial inserters, radial inserters, bulk feeders, injection molding systems, laser marking and component sequencers, and material handling systems and plastic processors. In addition to those more specific types mentioned above, suppliers deal in a few different main styles of automation equipment. These include manufacturing automation, factory automation, and robotic automation. Manufacturing automation equipment is designed to make parts and products. It primarily handles applications related to quality control, materials handling, and, of course, general manufacturing. Manufacturing automation equipment is also both computer programmed and controlled. Factory automation equipment is exactly like manufacturing automation equipment, except that it is designed for more general movement functions inside factory or warehouse systems. Factory automation equipment typically performs tasks like computer-controlled lifting, computer-controlled lowering, computer-controlled grasping, computer-controlled product moving, etc. Robotic automation equipment, or industrial robotics equipment, is a subgroup of machines (robots) that may serve any type of application. Like so many others, robotic machines may be integrated into preexisting systems, or they may stand alone. Either way, robots are designed to move tools, devices, or parts in preprogrammed movements. Among other tasks, they may provide welding, painting, assembling, material handling, machining, and moving services. Assembly machinery and automation equipment may be found in many forms because they are not subject to the constraints of any one standard arrangement or setup. Thus, no two pieces of automated machinery or two assembly systems have the exact same components. However, automation systems often include components like lifts, conveyor belts, pick and place equipment, and palletizers. Assembly machinery and automation equipment offer so many advantages to a customer. First, automated systems can work in environments where humans cannot, such as spaces with extreme temperatures, or radioactive or toxic atmospheres. Second, they offer faster, more accurate production. All the while, they lower labor costs and all but eliminate human error. In addition, it is easy for manufacturers to customize automation systems and devices. Finally, users can maintain automation equipment systems easily with routine quality checks. Most suppliers accept custom automation equipment orders, and will manufacture machines to specific dimensions, with specific combinations of functions. Custom automation equipment manufacturers will design your custom automation systems per the details of your application, such as the number of steps your system takes to render services or produce products, the volume or quantities you produce daily/hourly, the size of your factory, and your standard requirements. Note that you may purchase not just one piece of custom automation equipment, but a whole slew of custom machines. For your application, manufacturers will assemble products so that they combine with the various parts and devices of each seamlessly and create a larger functioning system. Learn more about your custom automation systems options by talking over your application with potential suppliers. Generally speaking, automation equipment is beholden to a few different safety and compliance standards. These include the U.S. Department of Labor’s safety standards (equipment safety, consumer safety, operator safety, food safety, etc. ), OSHA’s Federal Register notices (rules and official standard interpretations related to occupational safety), ASTM’s (American Society for Testing and Materials) machine and tool safety standards and ANSI’s (American National Standards Institute) machine and tool safety standards. In addition to these general standards, you may be required to work with automation equipment that meets more specific standards. For example, if you are working with food or drugs, your automation equipment needs to meet the FDA (Food and Drug Administration) standards for safety, quality, and cleanliness in packaging, processing, and the like. Likewise, if you are working with medicines or drugs for the international community, your machines must meet the standards of ISPE (International Society for Pharmaceutical Engineering), such as GAMP (Good Automated Manufacturing Practice) or CGMP (Current Good Manufacturing Practices). To learn more about which safety standards for which your automation equipment should have certification, talk to your industry leaders. Once you’ve done that, before agreeing to work with any company, make sure that company has the capabilities to design products to those standards. In order to maintain your custom automation equipment in compliance with such standards, and to generally keep it running well, you need to keep a maintenance schedule. During maintenance, you need to check to make sure all of your equipment’s hardware and electrical parts are still firmly installed, clean, and lubricate your equipment. In addition, you need to make sure that everything is in alignment and the controls are working as they should. Taking measures such as these will keep your custom equipment healthy, happy, and humming along nicely. Automation equipment is complex, and it can make or break your application. For this reason, it’s incredibly important that you work with an automation equipment manufacturing company that understands your needs and is equipped to make you customized machinery. Not only that, but it is important that you work with a company willing to produce high quality custom automation solutions no matter your budget. Find a supplier like this by checking out those we have listed on this page. You’ll find their information, complete with company profiles, interspersed in between these chunks of information. As you look over their services, keep your requirements at the forefront of your mind. Pick out three or four you believe could best fulfill these requirements, then reach out to each of them to discuss them. After you’ve done that, compare and contrast your conversations. Who can work with your budget and deliver solutions to you on time? Who can manufacture your products to the safety and quality standards you require? Who can and will do everything you need? Figure out which company that is and go with them. Good luck!